No matter where I am in the world, some things never change. 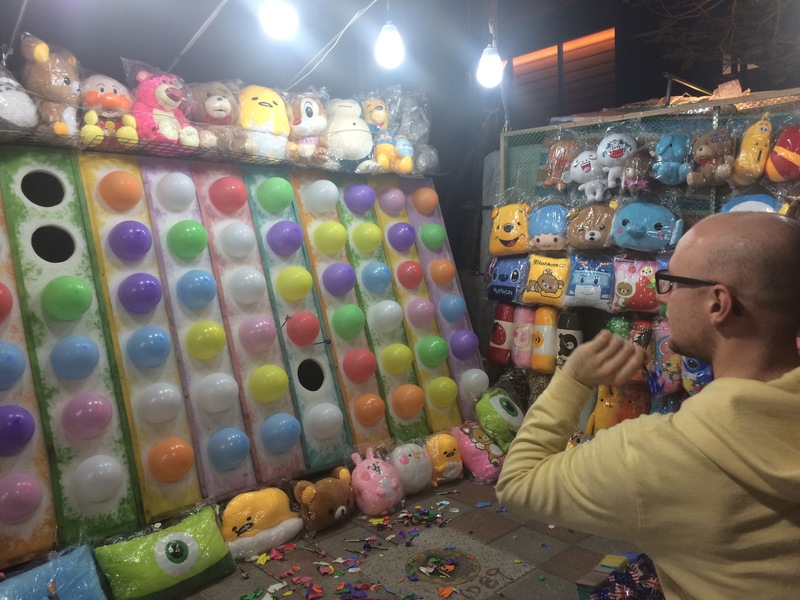 My last three Christmases have been spent in Sydney, Tokyo and now Taipei and despite these very different destinations, there have still been some common features throughout all of them. As has been the case since I started getting into pubs about 10 years ago, Christmas Day this year started at a low ebb. The previous night’s antics ended at around 5.30am which resulted in an extremely rough night of sleep. In fact, my Sleep Cycle app (which is awesome by the way) confirmed this for me. 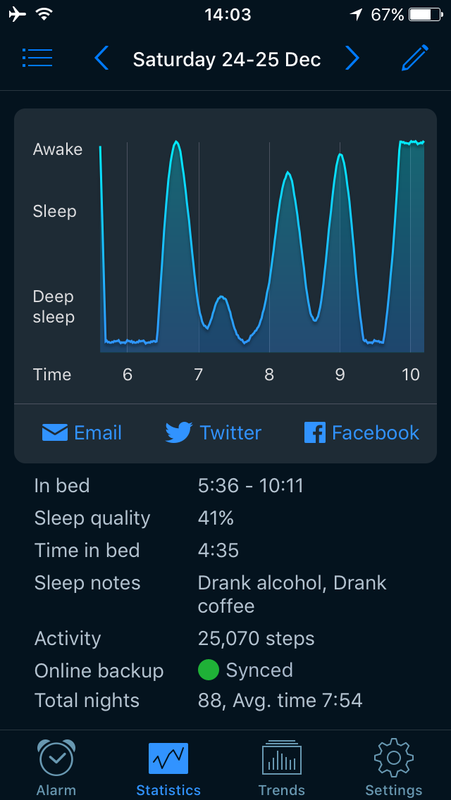 For context, sleep quality is usually around 80%! After some very unenthusiastic “Merry Christmas” greetings and a coffee or two to get our heads together, it was time to find ourselves some alternative Christmas dinner. Last year’s traditional dinner at the Meguro Tavern was very welcome, but this year I’ve managed to blag Sundays off work so I’ve been stocking up on Hobgoblin Sunday dinners; as a result I haven’t craved Christmas dinner as much this year! Although my hangover wasn’t quite as bad as my personal best (worst?) in Sydney 2014 – a memory which still gives me sleepless nights – there was no way I was stomaching something too substantial any time soon. 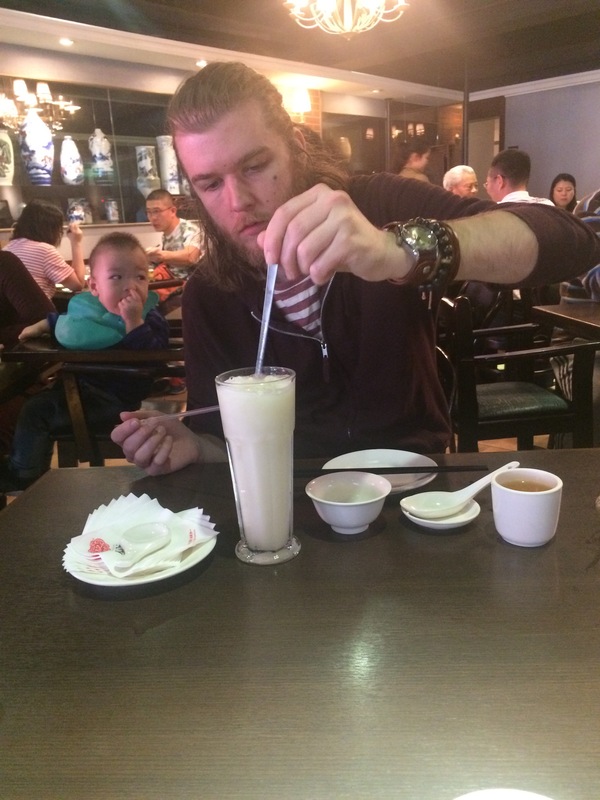 With this in mind, we headed to Yongkang Street to see what bits we could pick up there. I’d been told by many students that Din Tai Fung was a ‘must visit’ restaurant for its infamous xiaolongbao – or steamed dumplings to you and I! However after a quick search on Google I discovered that there were branches all over the world, and indeed there was a shop in Tokyo! Why would you travel all this way and go to the exact same restaurant you could go to at home? The mind boggles! 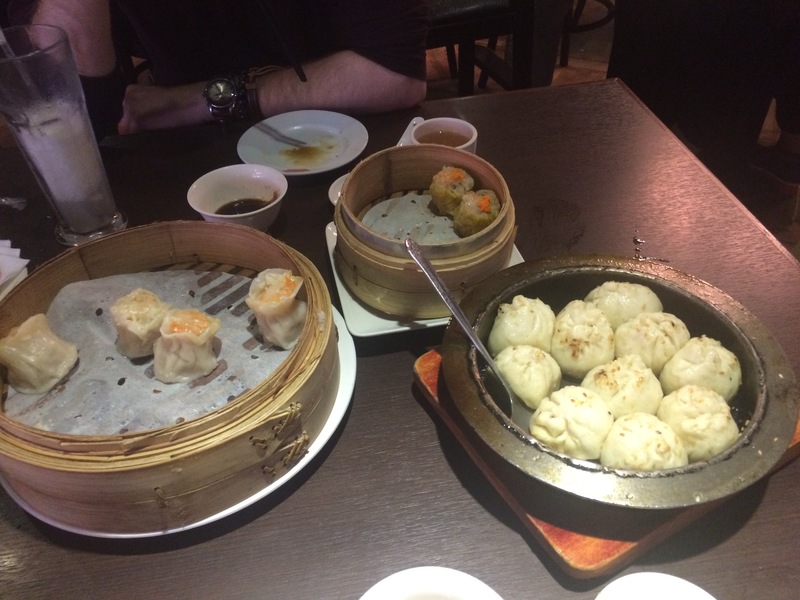 After a quick walk up and down the street we settled for a dim sum restaurant called Kao-Chi and despite neither of us being particularly hungry, we ordered what turned out to be an absolute feast! Not quite the standard Christmas dinner drink! 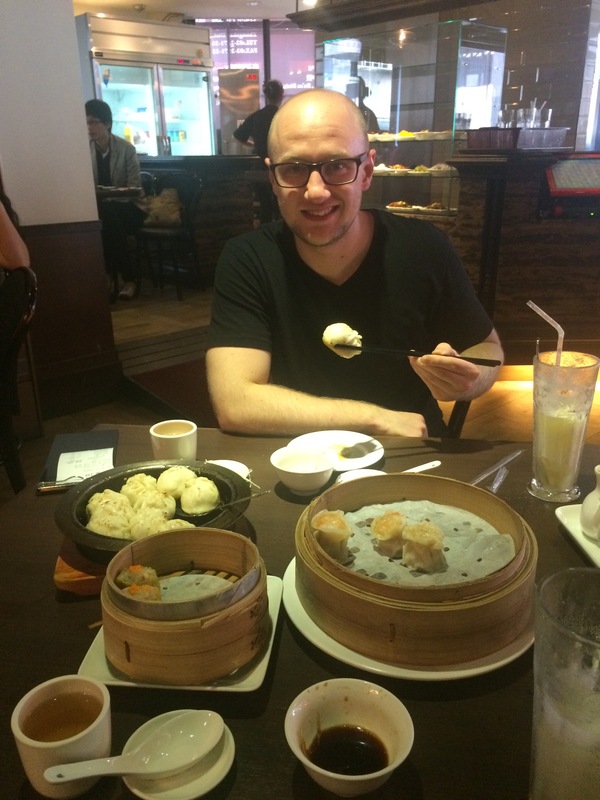 It was a case of dumpling after dumpling followed by some steamed buns and more dumplings! In fact, we completely lost track of what we ordered and were constantly being surprised when the waitress kept coming back to the table with yet another plate! A mixture of being absolutely stuffed and suffering with the hangover from hell made this quite an ordeal, but like a pair of absolute troopers we powered through. As I said, some things never change about Christmas Day. Putting on my best ‘I promise I’m enjoying this’ face! The traditional post-Christmas dinner nap was well and truly in order and after a few hours of downtime we woke up a little fresher and hungry again. 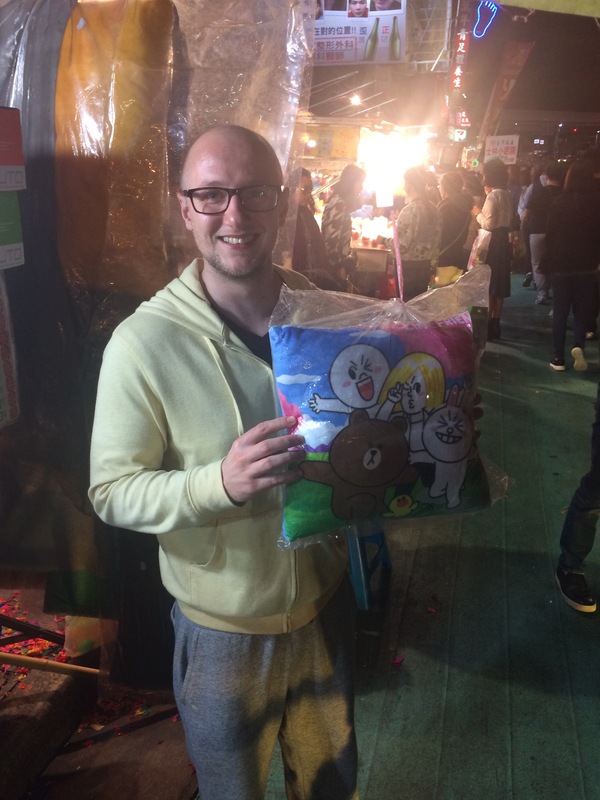 Taiwan is renowned for its night markets and despite having been in Taipei for three days at this point we’d not been to one yet. 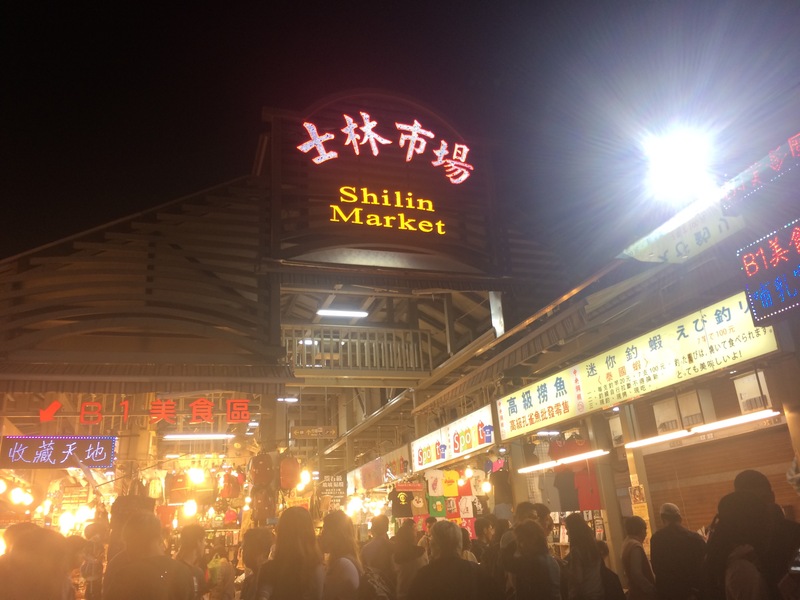 The famous Shilin ‘tourist’ night market was just a few stops from our hotel so with no plans for a heavy night this seemed the perfect opportunity to visit. 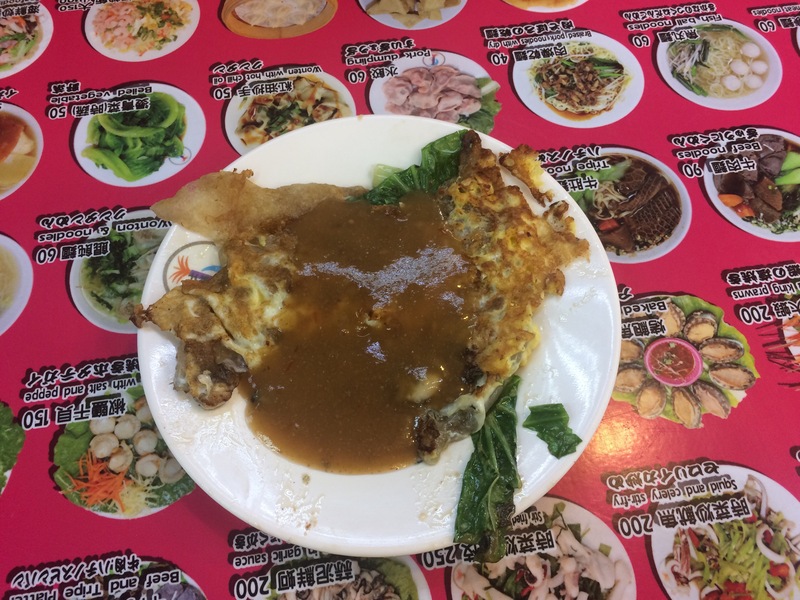 A few recommendations from Glen helped us along the way as we headed into the food court and found ourselves a stall selling oyster omelette. Actually when I think about it we didn’t really ‘find’ a place selling oyster omelette, it was more a case of choosing one as 95% of the stalls in the food court seemed to be selling the same things! When the omelette arrived it didn’t really look the most appetising dish, especially considering my hangover hadn’t quite gone away at this point. As is often the case in Asia though you can’t judge food by its appearance and the taste was much better than the presentation. The texture was quite chewy and thick which was a bit of a surprise, but it was tasty enough. That’s my students’ gifts sorted. 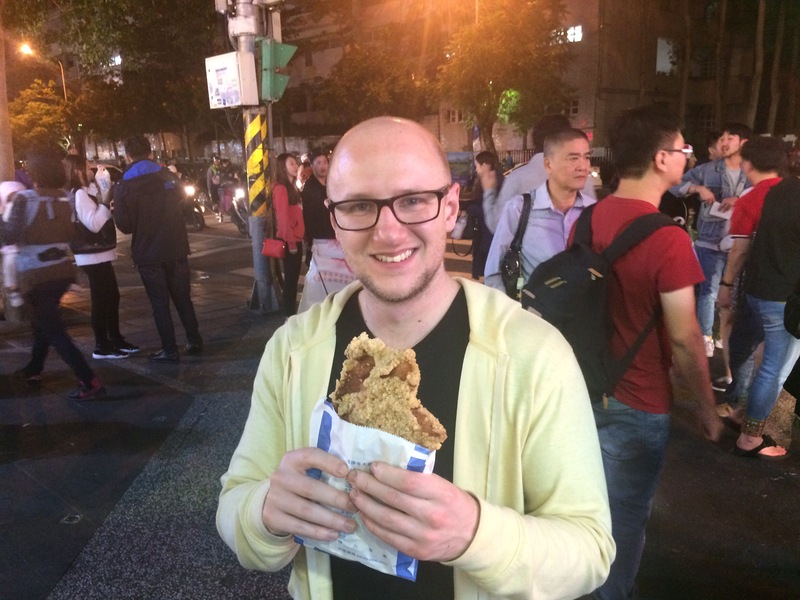 The final thing to tick off the list as recommended by the Tokyo Fox himself was Hot Star chicken – basically a massive, massive piece of fried chicken. When I say massive, I mean massive. It was bigger than my head. I didn’t know chickens this big existed. It was time to call it a night; another tradition of Christmas Day for me is an inability to keep my eyes open past 10pm. However before we did this there was just one thing I couldn’t resist. Jack ‘The Power’ Oldham in action. The best prize of a bad bunch. Interesting christmas! Happy New Year! Thanks! Same to you – sorry for the late reply!